Apart from their sweet and tangy, taste Mammee apple is a good source of nutrients, vitamins and minerals. 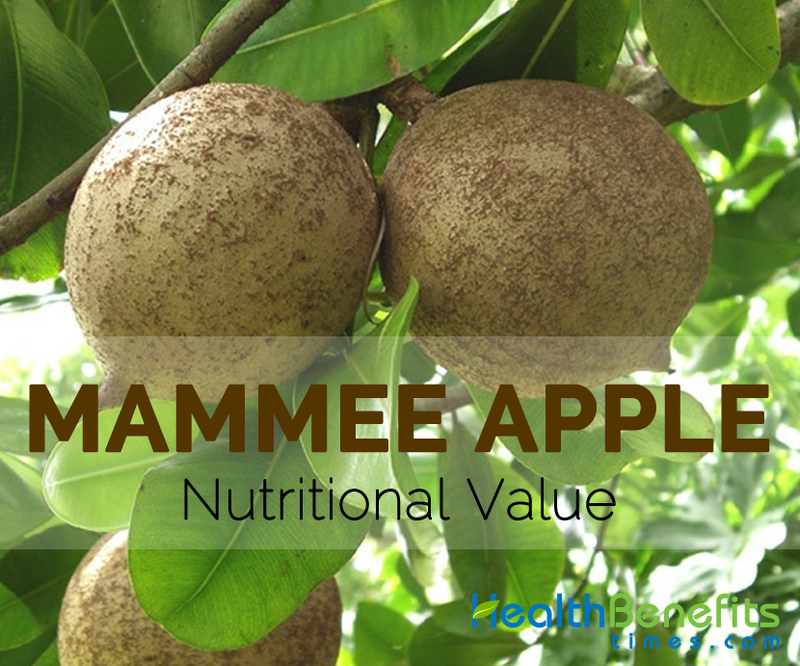 Consuming 100 gram of Mammee Apple offers 14 mg of Vitamin C (Ascorbic acid), 12.5 g of Carbohydrate, 0.086 mg of Copper, 0.7 mg of Iron, 3 g of Total dietary Fiber and 0.1 mg of Vitamin B6 (Pyridoxine). Calories 51 Kcal. Calories from Fat 4.5 Kcal.